EDUCATION continuity to the tertiary level is the result of hard work put in during the years in school. Many will find higher education a challenging world as it is here that students will get to know their real selves, the destination of the journey they are taking in life and the means of getting there. Hence why the Education Ministry finds it crucial to bring back credibility to public universities and higher education through improved quality and emphasis on values as the core of education. Education Minister Dr Maszlee Malik, in delivering his 2019 mandate titled “Education for All” last week, said the ministry has underlined four key directions for higher education - quality, autonomy, collaboration and internationalisation. “University is an open intellectual field. It is there that theoretical debates, lively and open discourse, as well as the sharing of knowledge take place. “For universities to be relevant, excellent and effective, a high level of quality must be achieved in various aspects, and this can be done through having academics who are more visible with works that are used by the community. We encourage universities to nurture the culture of having dialogues, debates, discourse and other intellectual programmes that will provide solutions to society’s problems and develop the nation,” he said. Ethics is another important aspect that has to be focused on, he said. “Bad work ethics, plagiarism, and academic bullying must cease. Integrity will not be compromised. Publication of article that has no quality should be exterminated. Publication should reflect the mastery of intellectuals in their respective fields and be regarded as universal reference within the field,” he said. The ministry will also increase the quality of research grants to ensure that knowledge transfer will occur, encourage translation of great works and the research will establish results that will resolve current community and national problems in a substantial manner. Lecturers who have been awarded research grants are encouraged to guide and finance their post-graduate candidates by appointing them as research assistants. “For lecturers promotion, we will start moving towards using a big data-based system with artificial intelligence that will accommodate all efforts and contributions from lecturers to determine auto-promotion eligibility. The requirement to fill endless forms will cease,” he said. The library will be a broad and borderless repository of knowledge and the communication system between libraries at all universities and access to external publications be improved. “We are aiming to have public universities and the higher education sector be referred to by the global community. 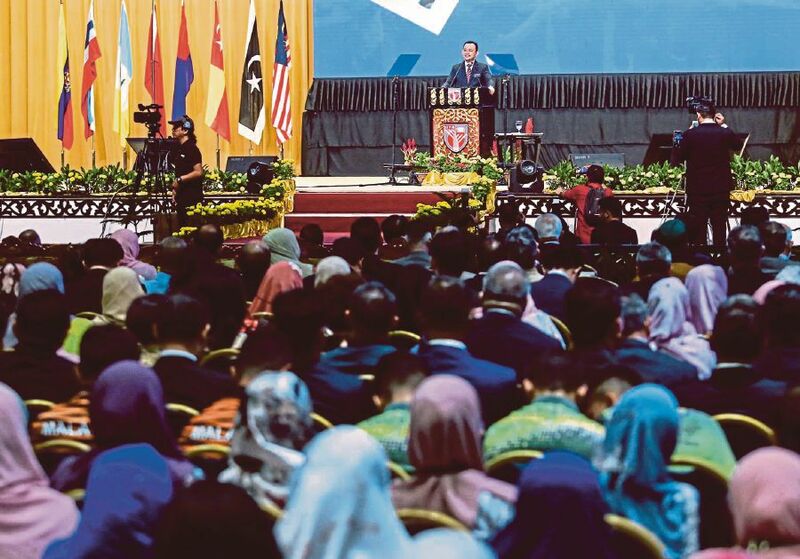 The process of internationalisation includes the effort to increase the number of foreign students coming to Malaysia to study in line with the vision of making Malaysia an international education hub, and building more branches of local universities abroad through the satellite university method,” he said. To increase autonomy at universities, the ministry will reassess the key performance indicators (KPIs) of each faculty and repeal the one-size-fits-all KPIs. Universities will be divided into clusters to create synergy and collaboration to no longer move alone. Autonomy is given to universities and their clusters to determine their respective KPIs. Empowering students at higher education institutions had been and would continue to be given emphasis, said Maszlee. Among the first attempts was the abolition of Section 15(1)(c) of the Universities and University Colleges Act 1971, which restricts the involvement of students in political activities on campus. This cancellation is in line with the government’s intention to lower voters’ age limit to 18 years. “In addition, through continuous collaboration with the administrators of public universities in the country, we are working to create a Students’ Union, which has long been buried in the history of the country. Through the union, students will have more roles, opportunities and responsibilities in the decision-making process at each university,” he said. The third direction - collaboration - will see the ecosystem of intellectuals be made more vibrant. “This can be done through a mentor-mentee relationship between senior professors and new lecturers to realise more schools of thoughts in their respective fields. In this case, the universities should not be alienated from the reality of life. To prepare our students to become public intellectuals to handle tasks as society’s troubleshooters, universities must create collaborations with all the appropriate parties, such as schools, polytechnics and vocational colleges. A lot can be done by public universities to help local communities, including giving training to improve the quality of the teaching and learning process in schools,” said Maszlee. In addition, universities also need to collaborate with other parties to create endowment from the waqf and zakat institution, as well as alumni. “Use tax incentives to activate financial endowment through alumni. 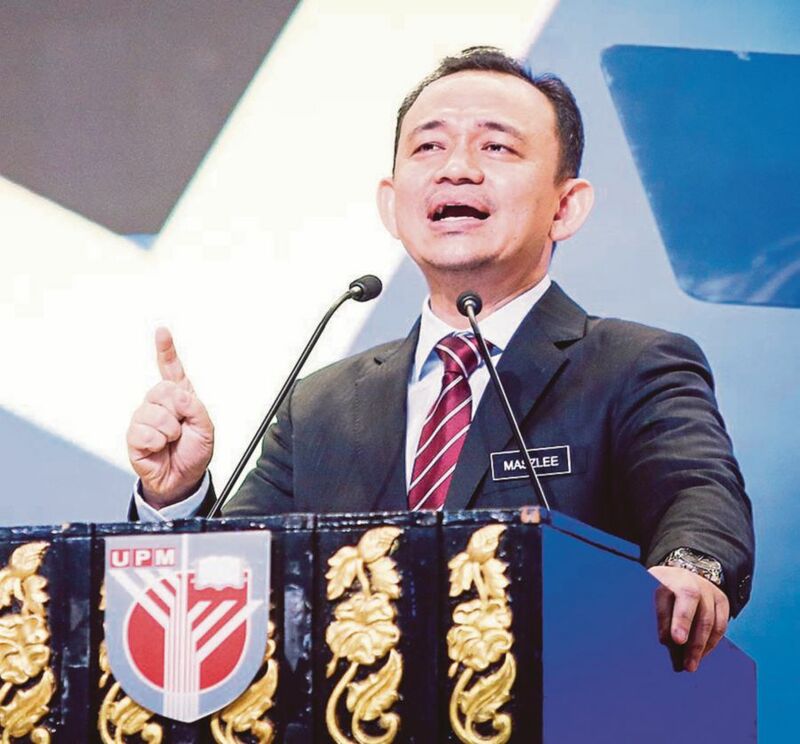 The alumni of the public universities are also asked to return to their alma mater to help out as is the case with international leading universities,” Maszlee urged. A more drastic and comprehensive internationalisation effort will be mobilised, he said. “Most importantly, academics of the public university should be referred to internationally in their respective fields and no longer just be jaguh kampung. High-quality work must be produced and translated, and the process of translation must be actively executed; rebranding and marketing must be organised more effectively at the global level. We also need to increase the mobility of professors and staff outside the country as well as have more academics from overseas visiting and serving in our country,” he said. As for TVET (Technical and Vocational Education and Training), he said the ministry would continue to improve institutional capabilities and systems of TVET to remain competitive and meet market expectations. “The ministry will implement a harmonised accreditation system with quality assurance for enabling student mobility in TVET institutions, including those in the Malaysian Technical University Network (MTUN). “MTUN should also be moving towards the Fachhochschule system in Germany and measured with the production of technical graduates and the resolution of technical issues, and not merely producing publications. “We will improve the quality and delivery of TVET programmes to improve the skills of graduates through an industry-led approach, eliminating duplication of programmes and resource, increasing cost effectiveness, and expanding TVET funding to increase enrolment,” said Maszlee. “At the same time, the ministry is in the process of resolving the issue of recognising qualification from vocational colleges that will allow them to have equal opportunity to pursue higher education. “This requires that vocational colleges be placed parallel with the other institutions of TVET to be in line with the industry’s direction,” he said. Polytechnics and community colleges will also not be left out from reformation efforts to be carried out this year. “Networking and joint ventures between the two institutions with the industry, particularly big and renowned companies, is a priority to ensure the marketability of graduates in technical fields. “The alignment between MTUN and polytechnics is aimed to ensure opportunities for polytechnic graduates to continue their education. Polytechnics and community colleges has also opened up opportunities for the tahfiz students to equip themselves with the skills for a career in life,” he said. Maszlee said the ministry was serious in making TVET on a par with other choices; not a second or an alternative option.